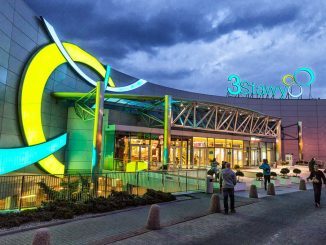 The West Side Invest company from Tychy put up for sale properties located close to the „3 Stawy” shopping center. The entire area of the land covers over 2,88 ha and consists of 27 construction plots. On Thursday, a traditional topping-out ceremony was held to mark the execution of the shell of the second stage of the Dom w Dolinie Trzech Stawów (House in the Three Ponds Valley) housing estate on Sikorskiego St.
JHM Development commenced the construction work on the first stage of „Twoja Dolina” on Pułaskiego St. at the beginning of May. Sales of the apartments have also been started recently. Each of the housing units were priced individually. Okam Capital stated that the start of construction works on the second stage of „Dom w Dolinie Trzech Stawów” (House in the Three Ponds Valley) would be commenced in June. 56 apartments in one building will be delivered within the stage.